Although there is currently a buzz around cutting out plastic, in reality it is unrealistic to think that all printed plastics will disappear. But, it’s not unrealistic to start thinking about improving collection and recycling models for them. This is a huge problem and affects printers in the packaging and sign and display industries. Unlike paper and board, there are few plastics that readily biodegrade, therefore their value is rather low. It is tricky to recycle plastic because there are numerous different types. At least four different types are used for bottles and bottles usually have caps that are made from different plastics which must be processed separately. There are several applications and materials like plastics used in vehicle wrapping and foam board banners which can be recycled. However, there are relatively few facilities. This makes it more difficult to sort and process the plastics for other purposes and then there is the cost involved. 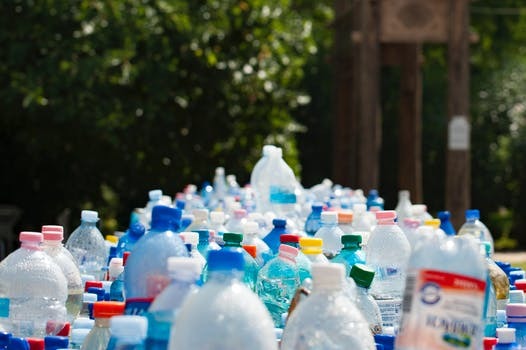 It should be possible to recycle any plastic, however the costs of doing may outweigh the benefits, particularly from an environmental view point. The blurrier the plastic source, the less likely it is that high grade output will be attained. In addition, this is also a problem with paper recycling. However, many deinking mills have evolved with the times and can now produce deinked pulp that is suitable as a raw material for countless paper grades. Plastic packaging and sign and display materials are the main candidates for plastic recycling within the graphics industry. The way this material is processed into new raw materials needs to be managed in various steps, many of which are governed by local considerations. It is important that everyone is involved to some extent, but environmentalists must be realistic and accept that recycling needs to be convenient for consumers. Sorting, collection, handling contaminants, process complexity, output grade, value of the end-product all have to be taken into. It’s possible that these factors and the diversity of plastic materials is too much for industrial recycling. It may make more sense to process plastics non-specifically and use them for different purposes. There are bicycle paths in the Netherlands that are made totally of recycled plastic. It’s still early days but we can hope that as soon as a viable commercial opportunity is clear that plastic recycling and reuse will become more widespread.